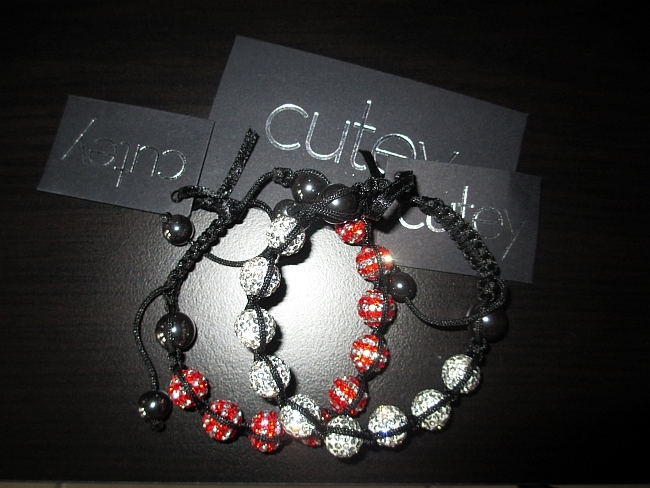 Recently, I have been contacted by Ashley from cutey to do a review on their Shamballa bracelets on my blog. Like any girl I love jewelry, but Shamballa bracelets aren't anything I've had before! "Inspired by the mythical kingdom known as Sambhala in Buddhism, regarded as a place of peace and happiness our shamballa bracelets are designed to bring a little happiness to your life." 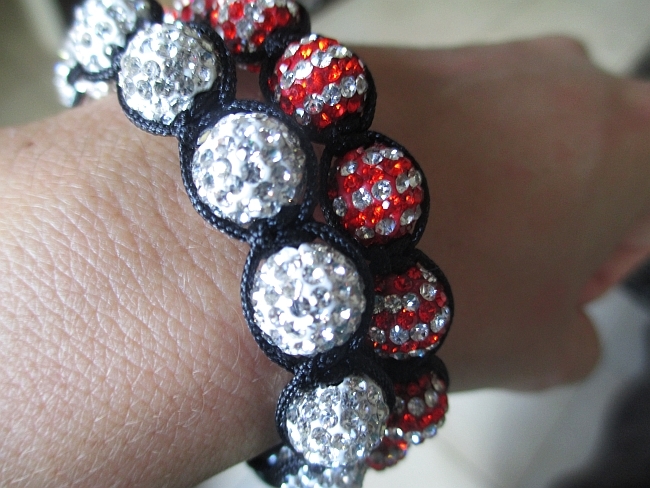 "A red Shamballa Bracelet is linked as you would expect to the emotion of passion and sexuality. The feeling of security, grounding, stability and support." "White is the color for new beginnings, enthusiasm, clarity of purpose, spiritual insights and inspiration. It casts purity, innocence, virginity, cleanliness, and neutrality and stands for safety, strength, and cleanliness." 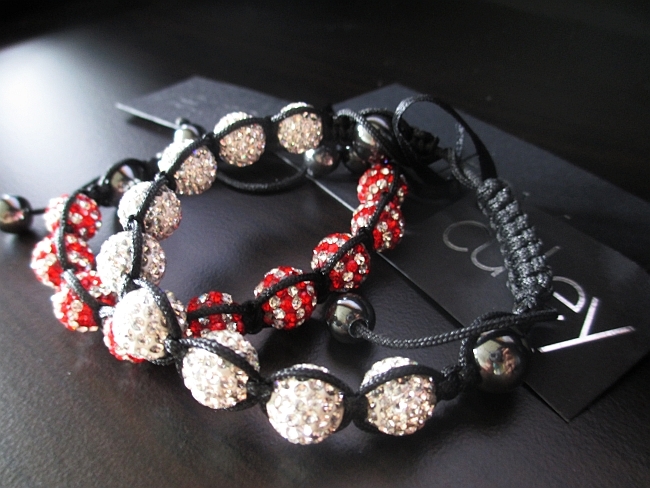 What I really like about cutey's Shamballa bracelets is its amazing quality! Each bracelet is made with 84 crystals and it's adjustable. The bracelet itself looks very well made and is super comfortable. 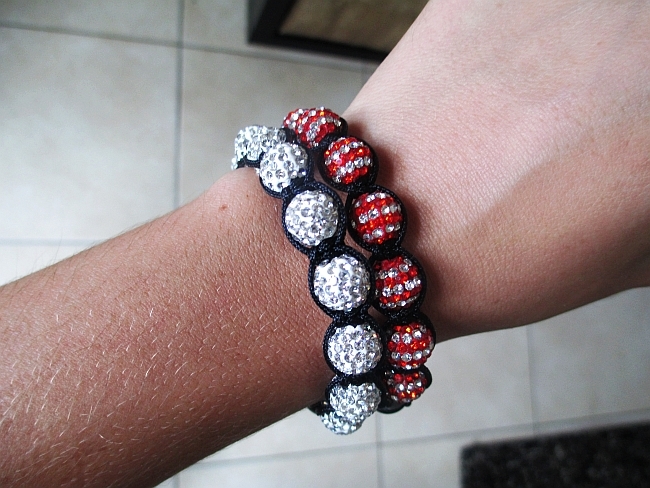 Don't wait and get your own Shamballa bracelet! cutey offers it in so many different colors (remember each color, different meaning, how fun!) and ships WORLDWIDE. I am sure you will find your perfect one!